Many e-cigarettes or electronic vapor products (EVP) contain nicotine found in real cigarettes. 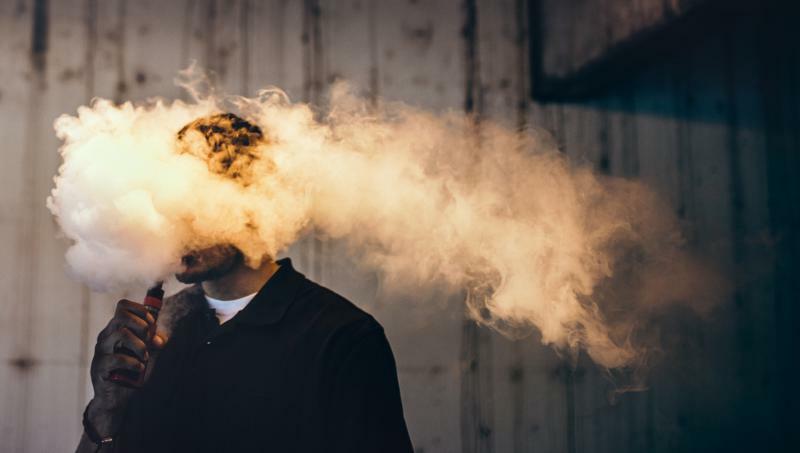 The study of self-reported data from 2015 suggests those who did use e-cigarettes or some other type of electronic vapor product (EVP) just before, during or after pregnancy were likely to be smokers already. Dr. Lindsay Breedlove, an OB/GYN with Baylor Scott & White All Saints Medical Center of Fort Worth, says a number of women in the study did so as a means of smoking cessation or because they thought it was safer than real cigarettes. She’s also heard the same from a few of her patients. “I think there is some mindset [that] you’re not inhaling the additional vapor products associated with cigarettes, that it’s a safer means and there’s less risk to those around them," she said. Breedlove says some pregnant users of EVPs may not know that many contain the same nicotine used in real tobacco products. She said one possible solution is to screen patients more carefully and make them more aware of the chances they’re taking with EVPs. "There are a lot of risks to smoking and pregnancy, specifically related to nicotine. It can cause a lot of factors with growth restrictions. It can increase the risk of stillbirth, pre-term labor, pre-term ruptured membranes. There have been also some links to tobacco use and pregnancy with fetal malformations. "And even after pregnancy, the risk of sudden infant death goes up substantially with tobacco use in the home." "Women who had used e-cigarettes [or some type of electronic vaping device] within the last three months of pregnancy, about 45 percent had used them as a means for cessation, or they thought it safer than smoking real cigarettes." “I think the biggest thing is identifying the patient — making sure you’re screening appropriately, not just asking ‘Oh do you smoke' or 'Do you use cigarettes,' but being more specific or direct in your questions. "Also, getting down to the nitty gritty about things that could be exposed in pregnancy." "Medicaid’s real good about covering behavioral modification and counseling. They don’t always cover group counseling, but the private insurance companies aren’t required to cover it. So, it’s a lot harder because it’s expensive. "There is a good phone line and texting service you can use to reach out to people in Texas for free — 1-877-YES-QUIT."